Are you in or near Vancouver, B.C.? 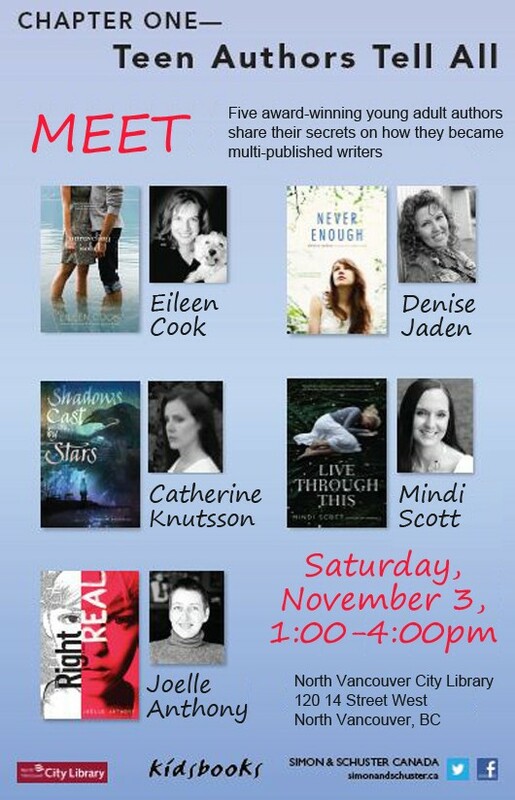 I'll be there on 11/3 with four other authors. Please come! This is happening this weekend and I'm really looking forward to it. If you're in the area, we'd love to see you there!